SAN BRUNO, CA and FREMONT, CA--(Marketwire - Oct 1, 2012) - Eoplly New Energy Technology Co., a designer and manufacturer of solar products, and Alpha Energy Management Inc., a California-based solar project engineering company, jointly announced the completion of a 280kW roof-top solar PV system on the facility of Advanced Design and Manufacturing (ADEM) LLC, located in Santa Clara, California. The Eoplly solar system was financed by East West Bank Corp. and will provide over 85% of ADEM's annual electricity requirements for its metal machining operations. More than 1,000 of Eoplly's 280W Poly-Silicon Modules were installed to provide over 400,000 kWh annually of clean, renewable energy. 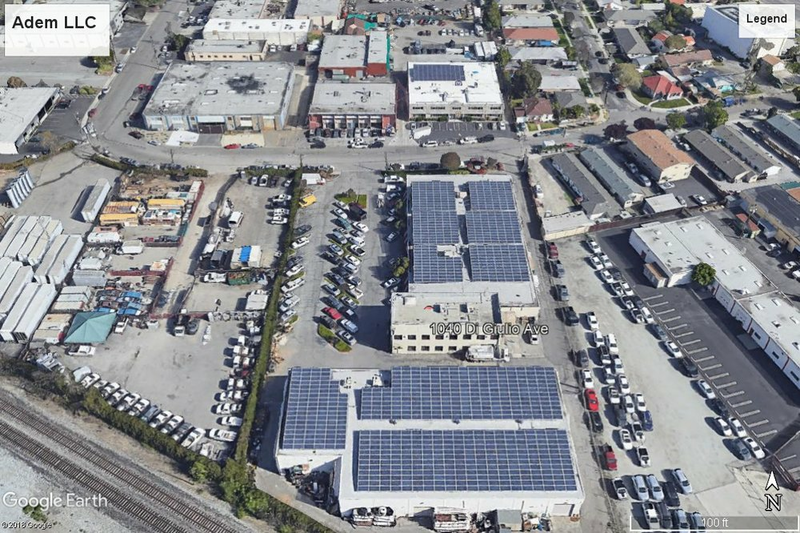 "We are excited that Eoplly modules were selected by Alpha Energy for one of the largest commercial roof-top projects in the Silicon Valley and will provide over 85% of ADEM's annual energy needs," said Warren Nishikawa, CEO of Eoplly USA Inc. "East West Bank has been a Eoplly's key partner to deploy solar at manufacturers and agriculture businesses throughout the Silicon Valley and California." Alpha Energy Management Inc. developed the system, which will have a payback time of less than 5 years. GIA Power Management Inc. designed the elevated racking system that maximizes the peak power of the system on only 32,000 ft2 . "East West Bank is pleased to be a financial partner for this project and glad to see the completion of the 280kW roof-top PV system on Advanced Design Engineering and Manufacturing facilities. We look forward to working with more businesses seeking solutions for energy efficiency," said Don Danh, Senior Vice President, Emerging Markets Division, East West Bank. About EOPLLY New Energy Technology Co., Ltd.
Eoplly New Energy Technology Co., Ltd. was founded in 2006, specializing in the research and development, manufacturing and sales of solar cells and modules. Eoplly is dedicated to being the optimized photovoltaic solution provider with offices located in United States, Germany, Italy, France, Spain, Czech Republic, Japan and China. About Alpha Energy Management Inc.
Alpha Energy Management is a leading renewable energy development company based out of Fremont, CA. AEM has develops projects throughout California, Nevada and Arizona, and provides turn-key solar solutions including design, installation, and financing.